SASA ethanol wall fireplaces, a timeless geometric decoration that comes in several sizes: from the classic remote controlled living room wall fireplace to the XL fireplace model for large spaces. A maximum view of fire with the flames being reflected in the brushed stainless steel. The ARCH lords over your living space with flames that are visible from all sides. A free standing ethanol hearth with an large fire insert. Never have fire spaces been more flexible and design. 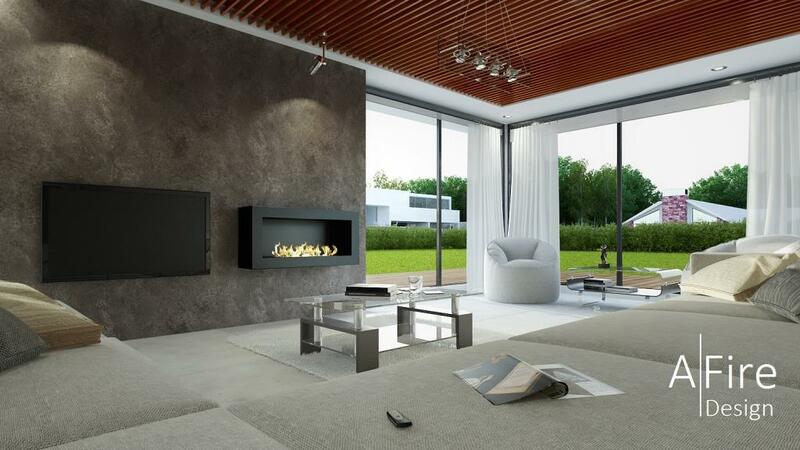 Modern bio fireplaces can be hung on the wall, put on furniture, and even embedded. The LOFT range has a concept with a unique design! AFIRE is a reference in terms of the comfort and ease of use of fire. Everything has been done to favor an easy use of your remote controlled bio ethanol fireplace. There is no installation work and no maintenance. AFIRE fire spaces have been designed so that, with the simple push of a button, you can turn the flames on or off automatically. To allow you to enjoy the pleasure of fire in complete peace of mind, AFIRE automatic smart fireplaces are equipped with all existing active electronic security measures. The unit cannot be started, or will be stopped automatically in case of defect or abnormal operation. With controlled filling, CO² sensors, heat detectors, and other measures, AFIRE’s advantaged technology has enabled the creation of perfectly secure bio burners. Contemporary fire spaces are becoming increasingly high tech and urbanized, with prominent examples such as the TV ethanol fireplace combination that is becoming increasingly prevalent in all household decors. Current electronic bio fireplaces are connected (they can be connected to any home automation application and operated with a smartphone) and are very easy to use in everyday life.